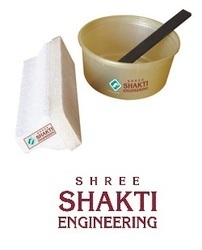 SHREE SHAKTI ENGINEERING is topmost manufacturer and supplier of wide range coating roller. 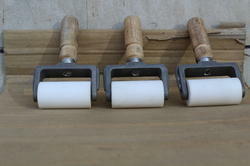 We are making the perfect roller for painting pipes. This pipe paints roller is a paint roller for painting pipes. This pipe coating roller is very suitable for processing pipe coating. Very good paint absorption /Release. Very good coating retaining ability. Applicator Pad Kit offered comes in precision construction finish and can be made available in different configuration choices so as to match up with the specific demands of the customers. For optimum performance usage support, these applicator pad kits come with thermocol handle, special heat absorbent fabric and special gum used to resist 150° heat. We can also offer these as per the OEM specifications provided by the customers. 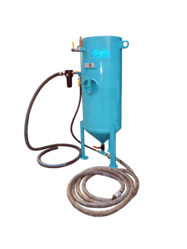 Sand Blasting Hopper offeredcomes in sturdy construction finish and is developed using latest technology support so as to provide for reliable working performance. Our rich experience in the field allows us to offer these hoppers for sand blasting processes in functional capacities of 0.2 m3 to 1.27 m3. Some of its features include allows for convenient operation support; coming in different shire hardness; superior finish design requiring low maintenance; hoppers falling in conformity with international standards. One can benefit from us an extensive variety of Roller for coating pipe to our clients. These are very much planned by the master group with most recent advancements and creative thoughts. Our items are exceedingly solid and durable in development with wear and tear resistance. The items perform extraordinary and can withstand unforgiving working conditions as well. Made from tested and high quality raw material. 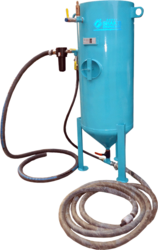 We are at SHREE SHAKTI ENGINEERING engage in offering a wide range of sand blasting hopper. The range is designed and manufactured in confirmation with international quality standards using high grade raw material. We also provide customization catering different requirements of clients. Our rich involvement in the field permits us to offer these containers for sand impacting forms in utilitarian limits. Some of its elements incorporate take in to consideration advantageous operation bolster. These machines empowered with high capacity blaster, which are highly recommend for higher output on various jobs such as vessel, structures and pipes. Low maintenance and long life.